Dissent by the Kurds is totally crushed by the regime. “The regime sees the Kurds as a threat to its security and uses all forms of brutal methods to crack down on any form of dissent in Kurdistan,” he says. When ISIS attacked last year, the PDKI volunteered to send its own fighters [Peshmerga] to help the KRG forces. Eventually the regional government asked them to withdraw their units. This is likely due to the KRG’s own fears that it will cause tension with Iran. The KRG plays a balancing act between antagonizing either Iran or Turkey, both of which fear Kurdish independence. Another insight that Hijri has is asserting that there is a misunderstanding of Iran’s support of the war against ISIS. ISIS provided Iran an excuse to extend its tentacles into Iraq. The long-term impact of the Sunni extremists is to embolden the Shia and Iran to totally control Iraq. In the long term this will threaten the Kurds, not only because the Kurds are Sunni, but because Iran, like Turkey, does not want the Kurds to have too much independence. 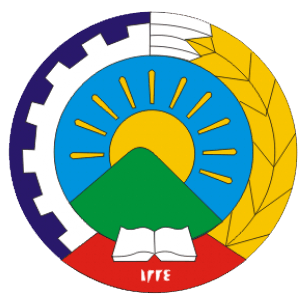 The PDKI is a democratic socialist party and is a member of the Socialist International (SI). For us, democratic socialism entails the belief that all human beings, whether as individuals or as members of nations, should be free and equal in all spheres of life. The PDKI’s policies on economic, political and social issues are based on these beliefs. Read more about our policies by clicking here and about our view on democratic socialism by clicking here.